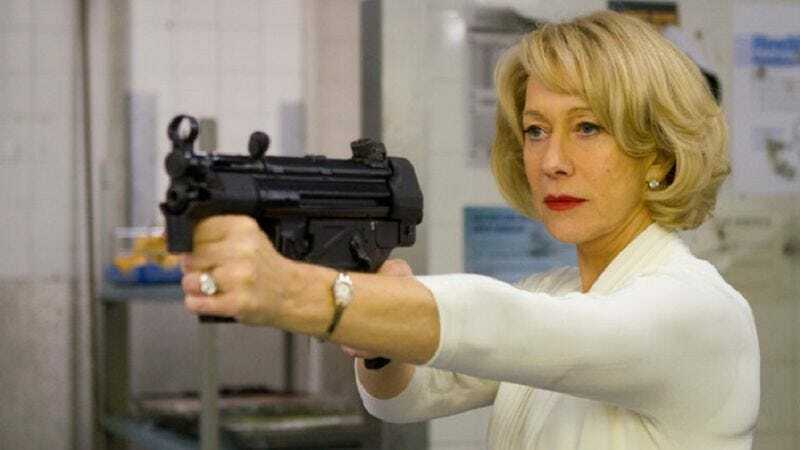 After starring as Mrs. Alfred Hitchcock, Helen Mirren is now in talks to play the wife of another Hollywood legend in Trumbo, a biopic about famed screenwriter Dalton Trumbo. Before being dragged before the House Un-American Activities Committee to testify about his alleged communist affiliations, Trumbo was the highest-paid screenwriter in the world. His refusal to name names got him blacklisted and thrown in prison for contempt. Unable to find work, Trumbo wrote under pseudonyms and used other screenwriters as a front, turning in scripts for movies like Roman Holiday and Spartacus without taking credit. Meanwhile, his wife Cleo likely stood by in a stately, stalwart manner—supporting her husband through the good times and the bad in a quietly indomitable way that would one day make producers think of Helen Mirren. As previously reported, Trumbo will be played by Breaking Bad’s Bryan Cranston, suggesting it might feature a subplot in which Trumbo attempts to hide his Communist leanings from his wife, only for her to toss him out of their house before begrudgingly coming over to his way of thinking.